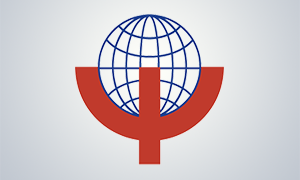 ISPS international conferences have been an inspiring meeting place for clinicians, service users, family members, researchers, and administrators since the first symposium in Lausanne, Switzerland in 1956. In ISPS, we understand that mental or psychiatric disorders are dimensional disorders, where the final breakdown - psychosis - is often a reversible condition, preceded by a state of depression and anxiety too overwhelming for the psycho-biological regulatory system to handle. As such, we understand psychosis as something that could happen to anyone, given enough stress at a time when the self is at a vulnerable point. We challenge the idea that the difficult and chaotic symptoms of psychotic breakdown are meaningless, and find that we are able to understand people in these extreme states through their symptoms. Hallucinations or delusions are important messages to the self and the outer world, from the person within. We believe that creating a space for the understanding of symptoms as a form of human communication is central to the healing relationship that can occur between people experiencing extreme states and the workers who help them. WIth this approach, we can build mental health services of which we can be really proud, which acknowledge the person and the importance of affects; services which make space for relational understanding of human problems. The ISPS community has such a breadth of knowledge, experience, and skill, and an ISPS conference is an enriching and supportive dialogue with the goal of improving services. We are really excited to again have an international ISPS conference in the USA after 21 years, and to come to New York CIty for the first time. The USA has had a central role in the developing of a bridge between the neurosciences and the psychological understandings of the human mind and behavior, a bridge which confirms what psychologically oriented theorists and practitioners have long understood. We look forward to sharing a rich conference experience with participants from all over the world along with our American colleagues in one of the most culturally and intellectually exhilarating cities of the world.